So something a little more tame. 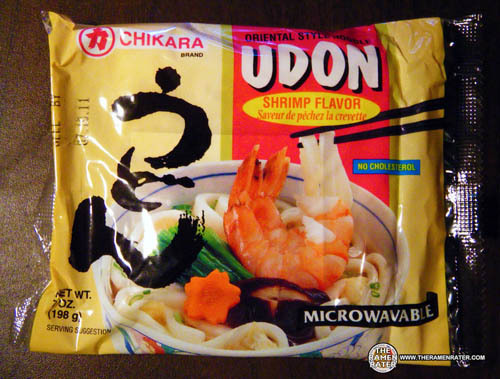 Shrimp udon! Should be good and tasty I imagine. Fresh noodles are always good. 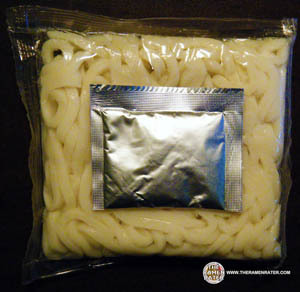 Yup – just like I figured – one seasoning packet, one pack of fresh udon! 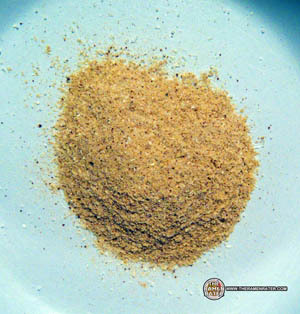 A mound of powdered seasoning. Click image to enlarge. 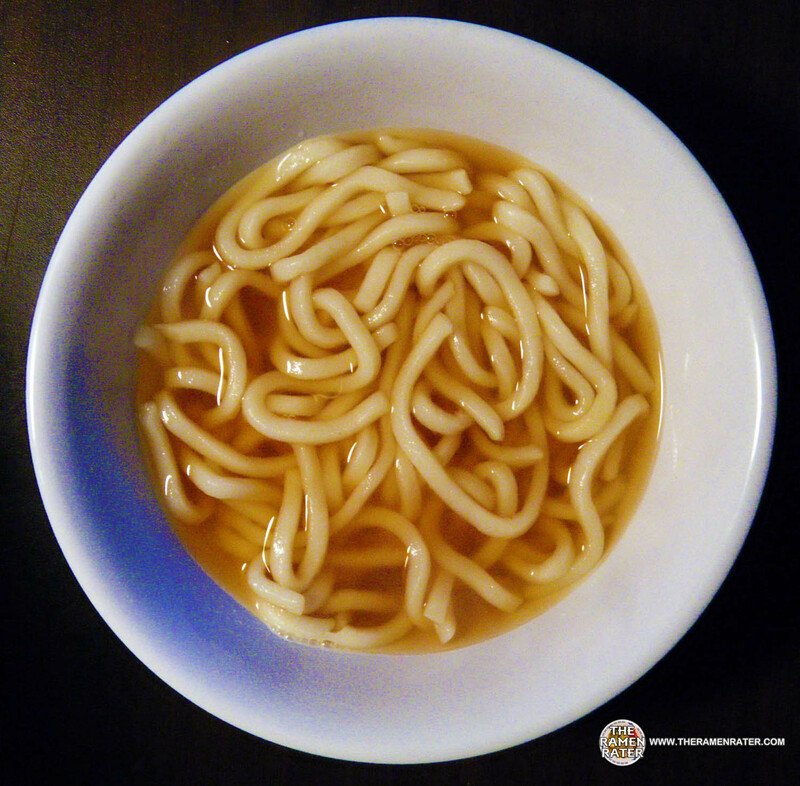 Gee what a nice looking bowl of udon! Basic, simple, unassuming. The broth was very nice – it wasn’t a salt fest and had a nice shrimp flavor. The noodles were stalwart and chewy. Their character was unmatched. Excellent! 4.5 out of 5.0 stars! Oh my God how do they put all those vegetable in that? This entry was posted in * Stars 4.1 - 5.0, Chikara, Sakura Noodle Inc, Seafood, United States and tagged california, chikara, edmonds, hans lienesch, liebesch, lienesch, los angeles, northwest, Ramen, ramen blog, ramen blogger, ramen rater, ramen review, ramen reviewer, ramen reviewers, ramen reviews, ramen video, ramenrater, ramenrater.com, ramenreview, rater, rating, ratings, review, reviews, sakura, seattle, shrimp, shrimp flaor, shrimp flavor udon, the, the ramen rater, udon, united states, usa, washington, west coast on June 16, 2011 by Hans "The Ramen Rater" Lienesch.